Firstly, just what does the word ‘truth’ mean? 1.Conformity to fact or actuality. 5 b. often Truth That which is considered to be the supreme reality and to have the ultimate meaning and value of existence. Arguably, today more then ever, the veracity of this statement is being challenged. In every sector of cotemporary human existence, in this era of high-tech, instant and wireless communications, if there is one facet to present reality that comes into question is acceptance of that being communicated on a given matter, is fact; FACT in truth. The spin-doctors of the world have so widely proliferated and pervasively infiltrated all lines of communication from from advertising to media reporting fed to the public 24/7 regardless of the medium, it is increasingly difficult if not impossible, to separate the chaff from the wheat. The fragility of human presence as an evolving species toward an unscripted reality, the present course if not significantly altered, can only be presumed to end disastrously; without question. Confronted by your boss with claim you are responsible for a negative consequence to your actions, you maliciously but plausibly lie, post the blame on a coworker costing them their job but, save yourself. As time goes on, your co-workers who know the truth, fail to give you their essential co-operation to complete your work. Sooner or later, being unable to meet your job-related responsibilities, you will end up demoted or worse, fired. So what does this have to do with the real world, in the bigger picture? 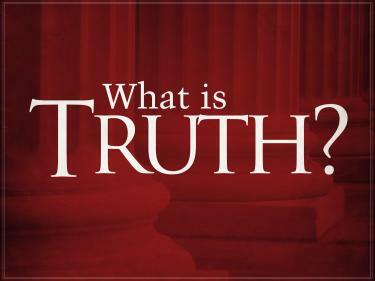 As stated above, in every sector of human existence be it geo-politics, the economy and finance, religion, health, science, etc,, etc., and especially with the immediacy provided by the Internet, the multiplicity of statements circulating on the same topic, is being communicated bit the question remains; who is telling the truth? The unfortunate aspect of this harsh reality for everyone is the dire yet real consequence that increasingly has the potential to manifest. The growing destabilizing events in the Middle East for one, find the world on the precipice to a third world war that has the very real potential to be the last for a very long time. To paraphrase Einstein who is purported to have commented: If there is to be a World War III, it would likely be fought with nuclear weapons and if so, the next with sticks and stones. The mire the global community finds itself and, the dire consequences of this situation being far too real to be ignored, unfortunately, pessimistically, the Pandora’s Box being wide open and, the Genii of Doom coursing the world seeking out the perfect storm to make it all happen, is it not just a matter of time? You be the judge – truth be told! « Today Free Speech – Tomorrow The Ovens?